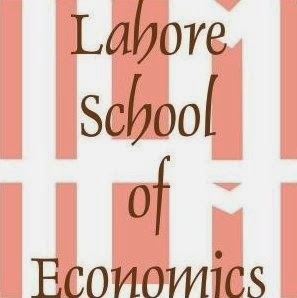 Dr. Faruqi is a Professor at the Lahore School of Economics. He has MA in Economics from University of Pennsylvania, USA and PhD in Economics from Rutgers, USA. Dr Faruqi worked at the World Bank for the period 1972-1997. He managed major training programs for the EDI /EB during 1990-96 in Banking and Financial Systems; established training facilities, programs and faculties in Central Asian Republics and managed large Technical Assistance Projects for Financial System, Banking System and Securities Market Development. For the period 2000-2003, Dr Faruqi was advisor to the Governor, State Bank of Pakistan. He organized and managed training in Central Banking and Financial System Management; launched Change Management activities at the State Bank, and established training Institute of SBP, NIBAF, Islamabad. His major publications include; Glossary: Banking and Finance, English – Urdu / Urdu –English, State Bank of Pakistan / Institute of Bankers, EDI / World Bank / Lahore School; Financial Sector Reforms in LAC and Asian Countries. Lessons of Comparative Experience,1993, EDI Seminar Series, Editor and Financial Sector Reforms, Growth and Stability,1994, EDI Seminar Series, Editor (listed by journal of Economic Literature).